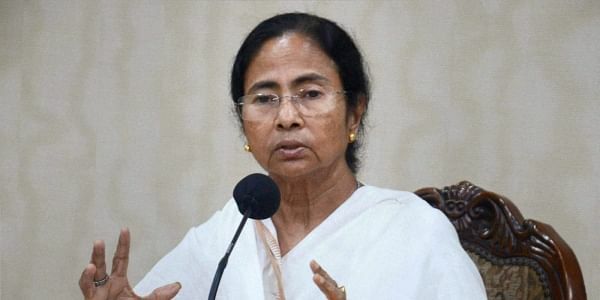 A woman district Superintendent of Police in West Bengal, who once referred chief minister Mamata Banerjee as ‘mother’, was transferred to a less significant post. KOLKATA: A woman district Superintendent of Police in West Bengal, who once referred chief minister Mamata Banerjee as ‘mother’, was transferred to a less significant post after allegations by a section of Trinamool Congress leadership that she had worked partially favouring BJP in the recently-concluded Sabang by-election. While TMC won the by-election by 67,912 votes, BJP increased its votes by over three times since the 2016 Assembly elections. Paschim Medinipur SP Bharati Ghosh was transferred to the post of Commanding Officer of the 3rd battalion of State Armed Police (SAP) based in Barrackpore in North 24 Parganas district, which is considered less important than her previous posting. While Ghosh refused to speak directly with the New Indian Express, she responded to the allegations through her personal assistant saying that the transfer was an ‘administrative matter’. The administration has maintained that the transfer was ‘routine’. However, while a section of TMC leadership in Paschim Medinipur alleged that Bharati Ghosh had recently come close to BJP and had worked partially for the saffron party during Sabang by-elections, sources in state secretariat Nabanna revealed that the personal relations between Ghosh and Banerjee had soured over the past few months. West Bengal Crime Investigation Department (CID) Additional Director General of Police Rajesh Kumar was also recently transferred to a much inferior position after he allegedly came close with TMC co-founder and present BJP leader Mukul Roy. Made the SP the district in 2012, Bharati Ghosh was considered so close to the ruling party and its chief that Opposition parties feared that she might later contest the elections on a TMC ticket. Apart from Ghosh, some other IPS transfers were also undertaken. While Purba Medinipur district SP Alok Rajoria will be the new Paschim Medinipur SP, Kolkata Police Deputy Commissioner (traffic) V Solomon Nesakumar will take up the post of Purba Medinipur district SP. On the other hand, the posts of Jhargram district SP Abhishek Gupta and State Indian Reserve Battalion (IRB) Commanding Officer Rathore Amitkumar Bharat were swapped.